The identification of mediators in the pathogenesis of type 2 diabetes mellitus is essential for the full understanding of this disease. Protein kinases are especially important because of their potential as pharmacological targets. The goal of this study was to investigate whether mammalian sterile-20 3 (MST3/STK24), a stress-regulated kinase, is involved in metabolic alterations in obesity. Glucose regulation of Mst3 (also known as Stk24)-knockout mice was analysed both in 129;C57 mixed background mice and in C57/BL6J mice fed normally or with a high-fat diet (HFD). This work was complemented with an analysis of the insulin signalling pathway in cultured human liver cells made deficient in MST3 using RNA interference. MST3 is phosphorylated in the livers of mice subject to an obesity-promoting HFD, and its deficiency lowers the hyperglycaemia, hyperinsulinaemia and insulin resistance that the animals develop with this diet, an effect that is seen even without complete inactivation of the kinase. Lack of MST3 results in activation of the insulin signalling pathway downstream of IRS1, in both cultured liver cells and the liver of animals after HFD. This effect increases the inhibition of forkhead box (FOX)O1, with subsequent downregulation of the expression of gluconeogenic enzymes. MST3 inhibits the insulin signalling pathway and is important in the development of insulin resistance and impaired blood glucose levels after an HFD. The online version of this article ( https://doi.org/10.1007/s00125-017-4433-x) contains peer-reviewed but unedited supplementary material, which is available to authorised users. Type 2 diabetes mellitus is a leading cause of morbidity and mortality, and is increasing in epidemic proportions . The initial stages of type 2 diabetes are characterised by insulin resistance, which leads to impaired fasting glucose levels and impaired postprandial glucose tolerance . Peripheral insulin resistance, resulting in impaired glucose tolerance, depends almost entirely on glucose disposal by peripheral tissues [3, 4, 5], whereas impaired fasting blood glucose levels are mainly caused by liver insulin resistance, i.e. insulin is unable to inhibit glucose production in the liver . Liver insulin resistance, contrary to peripheral insulin resistance, is not inhibited by TNF neutralisation by injected antibodies , and deletion of the major IRS kinase c-Jun N-terminal kinase 1 (JNK1) in liver induces rather than prevents insulin resistance and steatosis in animal models . Several possible mechanisms have been proposed for liver insulin resistance. Stress-dependent kinases feature prominently, activated by ectopic lipid accumulation, endoplasmic reticulum stress or proinflammatory cytokines [4, 9]. However, while some of these mechanisms, such as TNF action and JNK1 activity, are clearly involved in damage-dependent steatohepatitis, their roles in the early stages of insulin resistance are less clear . Also, as lipid accumulation in liver cells can be the result rather than the cause of insulin resistance, the mechanisms that depend on lipid accumulation may be important to amplify that resistance, but their role in its strict pathogenesis is still not completely defined by published data . The germinal centre kinase III (GCKIII) kinases, a subgroup of the sterile20 (Ste20) family of proteins, are Ste20/oxidant stress response kinase 1 (SOK1; also referred to as yeast Ste20-like kinase 1 [YSK1] and serine-threonine kinase [STK]25), mammalian sterile-20 (MST)3 (also known as STK24) and MST4 (also known as STK26) in mammals [11, 12]. They can be activated by cellular stress and during programmed cell death, and they are involved in cell death and survival. In the last years, new functions have been described, including roles in cytoskeletal organisation, cell migration, cell polarity and exocytosis [13, 14, 15]. Recently, metabolic effects have been described for SOK1. Several studies have established that manipulation of SOK1 levels alters metabolic regulation, affecting systemic glucose tolerance and insulin sensitivity, and lipid metabolism [16, 17, 18, 19, 20]. However, nothing is known about the possible involvement of other GCKIII proteins in metabolic regulation. We have studied whether the GCKIII kinase MST3 has effects on glucose regulation in an insulin resistance model of mice fed a high-fat diet (HFD). HepG2 cells from the European Collection of Authenticated Cell Cultures (ECACC) were cultured according to standard methods and routinely tested for mycoplasma. For experiments, cells were seeded at a density of 5 × 104 cells/cm2, and incubated for 72 h with no change of medium. Cells were transduced with human small hairpin (sh)RNAs (Mission; Sigma, St Louis MO, USA) for MST3 (also known as STK24), MST4 (also known as STK26) or non-targeting (sequences available on request), and were selected with Puromycin (Sigma). Transient transfections were performed with Lipofectamine 2000 (Life Technologies, Carlsbad, CA, USA). The plasmids used were pGL3-G6P C (− 3.9kb to − 21 kb) , pCMV5-βgal (Clontech, Mountain View CA) and pCMV5HA-MST3. Treatments were done using insulin (100 nmol/l), LY294,002 (10 μmol/l), H-89 dihydrochloride hydrate (10 μmol/l), N6,2′-O-dibutyryladenosine 3′,5′-cyclic monophosphate (dbcAMP; 1 mmol/l), all from Sigma. Mst3-deficient mice were generated from embryonic stem cells AM0826 from the International Gene Trap Consortium (IGTC) , and crossed with C57/BL6J mice to obtain a mixed 129sv/C57BL6J background (B6;129). For a pure C57/BL6J genetic background, these mice were backcrossed with C57/BL6J mice five more times. Genotyping was performed as described . Male littermates (6–8 weeks, 20–25 g) were used in all animal experiments. All animals were healthy, negative for pathogens and there were no significant differences in weight at the beginning of the experiments. Animals were kept in a specific-pathogen-free environment. Where indicated, mice were fed with either chow food and water ad libitum (i.e. normal diet) or with a diet supplying 45% of energy from fat (HFD) (Research Diets, New Brunswick, NJ, USA) for 21 weeks. Unless otherwise indicated, there were nine mice per group fed a normal diet, nine mice per group of wild-type (WT) mice fed an HFD, and ten Mst3-deficient mice per group fed an HFD. Glucose in animals was measured in whole blood using a Glucocard G+ meter glucometer from Menarini Diagnostics (Firenze, Italy). Liver triacylglycerol was extracted using a protocol adapted from Boyle et al , and measured using a triacylglycerol measurement kit (Spinreact, Girona, Spain). Insulin was measured in blood samples collected from mice after 4 h fasting using an ELISA kit (EZRMI-13K, Millipore, Billerica, MA, USA). Metabolic phenotyping was performed using individual metabolism cages with ventilation and sensors to register different variables, using an infrared-based activity monitoring system for locomotor activity (PhenoMaster, Sophisticated Life Science Research Instrumentation, TSE Systems, Bad Homburg vor der Höhe, Germany) over 48 h, after an adaptation period of 48 h.
Fat composition was determined in triplicate using NMR (Whole Body Composition Analyzer; EchoMRI, Houston, TX, USA), corrected for body weight. Mice were fasted for 14 h, glucose was measured, and animals were injected intraperitoneally with pyruvate (1.25 g/kg), glucose (2 g/kg) or insulin (0.75 U/kg). Glucose was then measured at the times indicated after the injection. For the GTT and pyruvate tolerance test (PTT), the AUC from time 0 to 120 min was calculated. To determine the glucose disappearance rate (KITT) in an insulin tolerance test (ITT), glucose concentrations over the first 30 min for each animal were transformed logarithmically, and a linear regression calculated for each mouse, with KITT as the minus slope of the regression. Methods for glucose, triacylglycerol and insulin measurements in mice, metabolic phenotyping and fat composition, are described in electronic supplementary material (ESM) Methods. Catheter implantation was performed as previously described by Fisher and Kahn . Only mice that had regained at least 90% of their preoperative body weight after 6 days of recovery were analysed. After fasting for 16 h, awake animals were placed in restrainers for the duration of the experiment. Insulin (human regular insulin [Humulin, Lilly, Indianapolis, IN, USA]) and somatostatin (Sigma) solution containing 0.1% wt/vol. BSA (Sigma) were infused at a fixed rate (4 mU g−1 min−1 for insulin; 3 μg kg−1 min−1 for somatostatin) following a bolus infusion (40 mU/g). Blood glucose levels were determined every 10 min, and physiological blood glucose levels (between 5.6 and 6.8 mmol/l) were maintained by adjusting a 20% wt/vol. glucose infusion (DeltaSelect, Munich, Germany). Steady state was ascertained when glucose measurements were constant for at least 30 min at a fixed glucose infusion rate and was achieved within 150 to 180 min. No adverse effects were detected during the experiments. All experiments and procedures were reviewed and approved by the Ethics Committee of the Universidade de Santiago de Compostela, in accordance with the EU directive for the use of experimental animals. Cell medium from untreated cells was changed to Krebs–Henseleit–HEPES (KHH; composition in ESM Methods ‘Glucose measurement’) in the presence or absence of 100 nmol/l insulin for 8 h. Glucose was determined in the medium using the High Sensitivity Glucose Assay Kit (Sigma). RNA was extracted in TRIzol Reagent (Fisher Scientific, Waltham, MA, USA). Quantitative PCR was performed using TaqMan Gene Expression Assays from Applied Biosystems (Foster City, CA, USA) for the mouse genes Gapdh, Actb, Mst3, Pck1, G6pc, Slc1a2, Aldh3a2, St3gal5, Acaca and Fasn, and the human genes GAPDH, ACTB, ACACA, FASN, CPT1A, PCK1 and G6PC. Results were normalised to Actb and Gapdh. Details of the probes used are shown in ESM Table 1. For protein extraction, whole livers and cells were washed twice with ice-cold PBS and collected with a buffer modified from Fuller et al  (‘buffer b’ composition in ESM Methods ‘Protein determination’). For livers, TissueLyser beads (Qiagen, Hilden, Germany) were used. Levels of each protein were determined a minimum of three times from different cells or animals. Western blots were performed using standard procedures. Immunodetection was either by chemiluminescence with Pierce ECL Western Blotting Substrate (Thermo Fisher, Waltham, MA, USA) or fluorescence (Odyssey; Li-Cor Biosciences, Lincoln, NE, USA). Western blots were performed for the following proteins and post-translational modifications: MST3, MST4, p-MST4 + MST3 + SOK1 (Thr178 + Thr190 + Thr174), insulin receptor (IR)β, p-IRβ (Tyr 1150/1151), IRS1, p-IRS1 (Tyr612), Akt serine/threonine kinase (Akt), p-Akt (Thr308), p-Akt (Ser473), forkhead box (FOX)O1, p-FOXO1 (Thr24), AMP-activated protein kinase (AMPK)α, p-AMPKα (Thr172), phosphorylated extracellular signal-regulated kinase 1/2 (p-ERK1/2) (Thr202/Tyr204), glycogen synthase kinase 3β (GSK-3β), p-GSK-3β (Ser9), cAMP responsive element binding protein 1 (CREB), p-CREB (Ser133), glyceraldehyde-3-phosphate dehydrogenase (GAPDH), tubulin and phosphorylated N-MYC downstream regulated gene 1 (p-NDRG1). A list of the antibodies used can be found in ESM Table 2. The Human phospho-Kinase Array Kit from R&D Systems (Minneapolis, MN, USA) was used according to the manufacturer instructions. The data were analysed using ImageJ software (https://imagej.nih.gov/ij/). Immunofluorescence studies were performed using standard procedures in cells grown on poly-l-lysine (Sigma), and fixed with PFA 4% wt/vol. Images were obtained using Confocal Microscopy TCS SP5 (Leica, Wetzlar, Germany). Nuclear-to-cytoplasmic ratio was determined using the ImageJ software. Statistical analysis was performed using GraphPad software (https://www.graphpad.com/), applying the Mann–Whitney test when two groups were compared and ANOVA analysis with a Bonferroni post hoc correction when comparing more than two groups. A value of p < 0.05 was considered significant. All graphs represent the mean ± SEM for a minimum of three independent experiments. To study if the GCKIII kinases were activated by stress induced by obesity , we prepared liver extracts from C57/BL6J mice fed an HFD, and performed a western blot with an antibody that recognises GCKIII proteins phosphorylated in their activation loop. Hepatic MST3 and SOK1 were significantly more active in mice after HFD than in mice fed a normal diet (as suggested by increased phosphorylation of MST3 and SOK1, respectively), while the levels of MST3 were unaffected (Fig. 1a). By contrast, hepatic p-MST4 levels were similar in mice fed a normal diet and those fed an HFD (Fig. 1a). We then used an Mst3 mutant mouse line with an insertion harbouring a splice acceptor site in the second intron of the Mst3 gene. Because of splicing around the insert, these mice can synthesise significant amounts of WT Mst3 mRNA, which results in the altered Mst3 gene being a hypomorphic rather than a completely inactivated allele . The amount of WT mRNA generated depends on the genetic background of the animal, as pure C57 mice homozygous for the mutated allele have more WT mRNA than mice from a mixed 129:C57 background (ESM Fig. 1). Thus, we used animals with the mixed background and levels of Mst3 mRNA of less than 50% of WT unless stated otherwise. The Mst3 mRNA levels of these mice are shown in Fig. 1b. In agreement with a previous report, knockdown mice were viable and showed no gross phenotypes under normal circumstances . When we subjected WT and knockdown mice to HFD, both gained weight at similar rates (Fig. 1c). WT mice showed an increase in fasting blood glucose and a pronounced hyperinsulinaemia after HFD (Fig. 1d, e), suggesting that these mice had developed insulin resistance and impaired fasting hyperglycaemia. Importantly, the fasting blood glucose of MST3-knockdown mice did not increase after HFD. Moreover, insulin levels were also not significantly increased by HFD in MST3-deficient mice, as opposed to their WT counterparts (Fig. 1d, e). MST3 deficiency did not affect respiratory quotient (Fig. 2a), energy expenditure (Fig. 2b), food intake (Fig. 2c), locomotor activity (Fig. 2d), or fat percentage (Fig. 2e) after HFD, and while there was a trend to gaining less weight, this was not statistically significant (Fig. 2f). WT and MST3-knockdown animals behaved indistinguishably after intraperitoneal glucose challenge, both after normal diet (Fig. 2g) and HFD (Fig. 2h), despite the difference in basal blood glucose levels after HFD. However, MST3-knockdown mice were more sensitive to insulin injection than WT mice after HFD but not normal diet (Fig. 2i, j). Overall, MST3 seemed to be affecting the regulation of glucose during fasting without affecting glucose tolerance. MST3-deficient animals did not show an inability to metabolise liver glycogen after HFD. In fact, glycogen stores after 14 h of fasting were more depleted in MST3-deficient mice than in WT mice (Fig. 3a). To see if the difference in blood glucose depends on defects in gluconeogenesis, we injected fasted animals with pyruvate. MST3-knockdown mice produced significantly less glucose than WT mice after the pyruvate challenge following HFD but not after normal diet (Fig. 3b, c). This correlated with the expression of gluconeogenic enzymes. G6pc was significantly downregulated in MST3-knockdown mice after an HFD but not normal diet (Fig. 3d, e), whereas there was a trend for Pck1 to also be downregulated under the same circumstances, but without reaching statistical significance. This was not a general defect of the response to fasting, as other genes induced by prolonged fasting, such as Aldh3a2, St3gal5 or Slc1a2 , were not changed by the status of Mst3. Moreover, genes involved in lipogenesis such as Fasn or Acaca were also unaffected. However, the accumulation of triacylglycerol in liver from MST3-deficient mice was also significantly lower than in WT mice (ESM Fig. 2), consistent with the improved hepatic insulin sensitivity in MST3-deficient mice. On the other hand, MST3-deficient C57/BL6J mice developed fasting hyperglycaemia after HFD, and the degree of hyperinsulinaemia was not significantly different from WT mice (ESM Fig. 3a, b). Intraperitoneal glucose induced the same levels of blood glucose in MST3-deficient and WT C57/BL6J mice (ESM Fig. 3c). However, this was accompanied by a higher induction of insulin in WT mice (ESM Fig. 3d). Accordingly, MST3-knockdown animals were more sensitive to exogenous insulin, though not to pyruvate (ESM Fig. 3e, f). In agreement with these differences in glucose handling in MST3-knockdown animals, the rate of glucose infusion during an euglycaemic–hyperinsulinaemic clamp was significantly higher in MST3-knockdown than in WT mice (ESM Fig. 4). We concluded that MST3 has a dose-dependent metabolic effect in mice after HFD that is very specific as it affects fasting blood glucose, insulin resistance and gluconeogenesis regulation, but not general energetic metabolism. We tried to reproduce the effects of the lack of MST3 in liver cells. We chose HepG2, a cell line known to have a high level of intracellular lipids and are thus exposed to a chronic metabolic stress . In these cells, we downregulated both MST3 and MST4, the other GCKIII kinase for which metabolic actions have not been studied, using lentiviral shRNAs (Fig. 4a). The mRNA levels of genes related to lipid metabolism (ACACA, FASN and CPT1A) were not significantly different in cells with inhibited GCKIII when cultured in complete medium for 72 h. In contrast, both PCK1 and G6PC mRNAs were significantly downregulated in cells without MST3 but not in cells without MST4 (Fig. 4b). This was a transcriptional effect, because lack of MST3 resulted in a lower activity of a G6PC promoter-luciferase reporter, which could be recovered by MST3 transfection (Fig. 4c), which also showed that the effect of the shRNA was dependent on the regulation of the kinase. Further, shMST3 cells produced less glucose than cells transfected with non-targeting shRNA (shNT) under the same circumstances, while insulin treatment inhibited glucose production independently of MST3 status (Fig. 4d). This correlated with glucose-6-phosphatase, catalytic subunit (G6PC) and phosphoenolpyruvate carboxykinase 1 (PCK1) being inhibited effectively by insulin in both shNT and shMST3 cells (Fig. 4e–g). We then studied the molecular mechanisms of the effects of MST3. As a first approach, we compared a set of phosphoproteins in shNT and shMST3 cells. Levels of p-Akt (Ser473; more intense in shMST3 cells) and phosphorylated FGR (proto-oncogene, Src family tyrosine kinase) (Tyr412; more intense in shNT cells) were the only phosphoproteins differentially detected (ESM Fig. 5). We focused further analysis on the p-Akt Ser473 pathway. When analysed by western blot, Akt was phosphorylated at Ser473 and Thr308 in untreated shMST3 HepG2 cells (Fig. 5a). This was also true for its substrate FOXO1, which was also less abundant in the nuclei of untreated shMST3 cells (Fig. 5b). Phosphorylation of the serum/glucocorticoid regulated kinase 1 (SGK1) substrate NDRG1 at Thr346, which is considered a readout of the activity of the Akt Ser473 kinase mTORC2 , was also elevated in shMST3 cells (Fig. 5a). Interestingly, other upstream targets of the insulin pathway, such as IR and IRS1, were not affected by MST3 status, narrowing the possible sites of action of MST3. Surprisingly, MST3 inhibition did not affect phosphorylation of GSK3β. Other phosphoproteins that have been related to metabolic regulation, such as AMPK or ERK1, were also not affected by MST3 inhibition. Whether their phosphorylation depended on MST3 or not in non-treated cells, in all cases proteins responded to insulin treatment as expected. To determine whether the activation of the insulin pathway in the absence of MST3 depends on phosphoinositide 3-kinase (PI3K) activity, we treated both types of cell with the PI3K inhibitor LY294002, which very effectively inhibited p-Akt, p-NDRG1 and p-FOXO1 independently of MST3 (Fig. 6a). We then treated cells with the cAMP analogue dbcAMP, with or without the protein kinase A (PKA) inhibitor H89. Both G6PC and PCK1 were stimulated by dbcAMP in a PKA-dependent-manner in normal cells, but not in cells devoid of MST3 (Fig. 6b–d), showing that MST3 is important not only for gluconeogenic gene regulation under low levels of insulin, but also in response to cAMP. This was not due to a general lack of response to cAMP in cells without MST3, as the transcription factor CREB was normally phosphorylated in shMST3 HepG2 cells after dbcAMP (Fig. 6e). Inhibition of PI3K stimulated the response to dbcAMP of G6PC and PCK1 in shMST3 cells, confirming that the gluconeogenic gene inhibition by shMST3 was PI3K dependent (Fig. 6f–h). To determine whether lack of MST3 had the same effect on insulin signalling in mice, we analysed the insulin pathway in the liver of animals after HFD. Phosphorylation of NDRG1 at Thr346 was higher in MST3-deficient animals (Fig. 7). Phosphorylation of Akt at Ser473 was also higher, though only when related to a housekeeping protein, as levels of total Akt were also higher. GCKIII kinases are activated by various kinds of cell stress [11, 12]. Metabolic functions have also been described for SOK1, specifically roles in glucose tolerance and insulin resistance, and in lipid metabolism in muscle and liver [16, 17, 18, 19, 20]. We propose here that another GCKIII kinase, MST3, is activated by an HFD and is important in the development of insulin resistance and impaired fasting glucose that is induced by this diet. MST3 is activated in the liver of diet-induced obese mice. This activation is important for the higher fasting blood glucose and insulin resistance induced by this diet. MST3 does not affect other aspects of metabolic regulation, such as glucose tolerance, fat deposition or fuel use. It also does not affect body weight significantly, though there is a non-significant trend towards lower body weight with the HFD. We think it is unlikely that the metabolic effects of MST3 we describe here are secondary to differences in weight, based on the correlation of in vivo and in vitro data, the lack of other major metabolic abnormalities, and the small difference in weight gain, if any, but it is a possibility worth considering. Because of the leakiness of the Mst3 gene trap on the C57/BL6J background, we have performed many of our experiments with a mixed B6;129 background, which respond to HFD in a different manner. Previous reports have found that 129/sv mice have lower blood glucose than C57/BL6J mice with both normal diet and HFD , which is consistent with our current results. One of the caveats of experiments with a mixed background is the possible existence of unknown genes (including genes affected by the gene trap) that can confound the results. To avoid this, we have used littermates in our experiments. Importantly, MST3-knockdown C57/BL6J mice give consistent results, despite their higher levels of Mst3 mRNA, suggesting an important role for MST3 in the control of insulin sensitivity. It will be very useful to perform experiments with pure C57/BL6J mice in which MST3 is completely inactivated. Impaired fasting blood glucose can be the result of increased hepatic glucose production, either by glycogenolysis or gluconeogenesis, or decreased glucose disposal, and it can be accompanied by a resistance to insulin action and/or impaired insulin secretion. We propose that MST3 deficiency protects animals from excessive hepatic glucose production, specifically gluconeogenesis, as suggested by the different response to the gluconeogenic precursor pyruvate and the inhibition of gluconeogenic genes in MST3-deficient mice, together with the lower levels of glycogen in the fasting livers of MST3-deficient mice. In contrast, glucose tolerance does not seem to be affected by MST3, suggesting that glucose disposal by peripheral tissues is inhibited by HFD even in MST3-deficient mice. MST3 deficiency also protects against insulin resistance, as evidenced in the ITT in 129:C57 animals, and in the euglycaemic–hyperinsulinaemic clamp in C57/BL6J animals. MST3 most likely mediates its effects directly in liver cells, as we see compatible effects in vivo and in cultured liver cells, and we see activation of MST3 in the livers of mice after an HFD. For formal proof of this point, liver-specific conditional knockout mice will be needed. In liver cells, the deficiency of MST3 results in phosphorylation of Akt and in the activation of the mTORC2 pathway, without affecting IR or IRS-1 tyrosine phosphorylation. mTORC2 phosphorylates Ser473 of Akt which, in turn, stabilises Thr308 . Also, mTORC2 inhibition affects FOXO1/FOX3a but not GSK3β phosphorylation , which is compatible with our results. Analysis of MST3-knockdown livers after HFD shows a more complex scene, with an upregulation of mTORC2-dependent events, phosphorylated Akt and, surprisingly, total Akt. Although we did not find Akt upregulation in HepG2 cells, its presence in mouse livers may reflect high mTORC2 activity, as this kinase has been shown to stabilise Akt besides its well-known effects on Akt phosphorylation . Whether MST3 exerts its metabolic effects through modulation of mTORC2 activity needs further study, which we are pursuing. 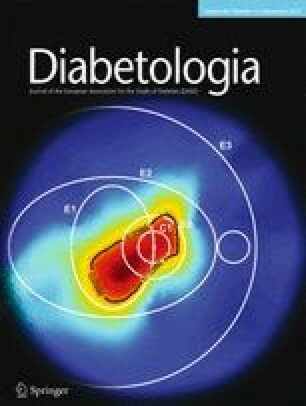 In this article, we have identified MST3 as a mediator of glucose metabolic defects in the context of insulin resistance. SOK1, another GCKIII kinase, has also been associated with insulin resistance. We believe that the relationship between diabetes development and GCKIII kinases deserves further study, as these proteins are emerging as significant players in the complex pathophysiology of insulin resistance and type 2 diabetes. We thank: all members of the MeMoEn Research Group for helpful discussions, and C. Diéguez (Departamento de Fisioloxía, Universidade de Santiago de Compostela, Spain) for critically reading the manuscript; D. Wu (Department of Vascular Biology and Therapeutic Program, Yale School of Medicine, USA) for advice on PCR genotyping; and P. Ramadoss (Beth Israel Deaconess Medical Center, USA), for the G6PC promoter plasmid. Financial support is gratefully acknowledged from: the Ministerio de Economía y Competitividad (SAF2011-24940 and SAF2014-56899-R and BFU2015-70664R); the Consellería de Cultura, Educación e Ordenación Universitaria (GPC2013/032, ED431B 2016, 2015-CP080 and 2016-PG057); the Astra Zeneca Foundation; the European Foundation for the Study of Diabetes; Centro Singular de Investigación de Galicia (accreditation 2016–2019, ED431G/05); the European Regional Development Fund (ERDF); and CIBER de Fisiopatología de la Obesidad y Nutrición (CIBERobn). CIBERobn is an initiative of the Instituto de Salud Carlos III (ISCIII) of Spain which is supported by FEDER funds. CI and EF are recipients of a predoctoral contract from Xunta de Galicia; DS is recipient of an Erasmus plus fellowship, financed by the EU. JZ and CMP are the guarantors of this work and, as such, had full access to all the data in the study and take responsibility for the integrity of the data and the accuracy of the data analysis. CI, ST, RN, CMP and JZ made substantial contributions to conception and design of the study. CI, EF, MS, BP, MF, AG, DS, JC and ST contributed substantially to the acquisition of data. CI, ST, RN, CMP and JZ contributed substantially to the analysis and interpretation of data. ST, RN, CMP and JZ drafted the manuscript. All authors critically revised the manuscript for important intellectual content. All authors gave final approval of the version to be published. JZ and CMP are responsible for the integrity of the work as a whole.